How do you make "more with less" in the kitchen? 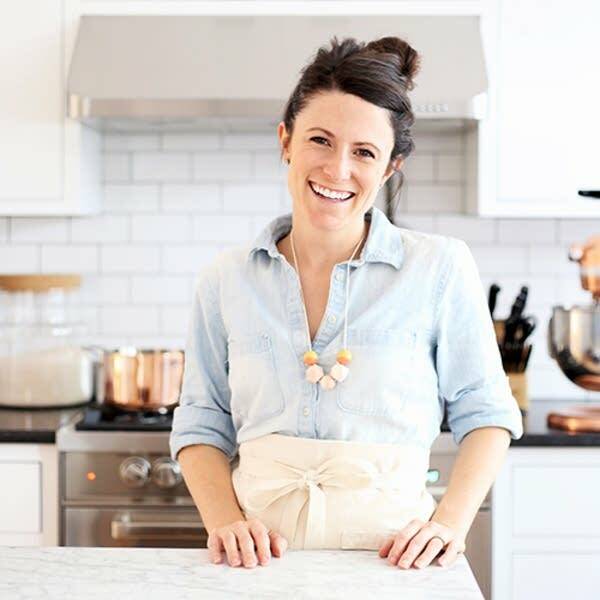 Melissa Coleman, who blogs at The Faux Martha, has a new book out called "The Minimalist Kitchen" that answers that question. Click the audio player above to hear a conversation with Coleman. 1. Make the chicken. Heat a large skillet over medium. Once warm, add the oil and onion. Saute for 4 minutes or until tender, stirring occasionally. Add in the garlic and cook for 30 seconds more. Stir in the chipotles, oregano, and cumin, and toast for 1 minute. Add in the tomatoes, stock, and salt. Bring to a simmer, and cook for 7 minutes. Place the tomato mixture in a high-powered or regular blender, and blend until smooth. Return the blended sauce to the pan over low heat. Add the chicken, and cook for 5 minutes. Taste and add more salt if necessary. 2. To serve, warm the tortillas. Place directly over a gas flame to char the edges. Place on a plate, and cover with a towel to steam. (If working on an electric stovetop, heat the tortillas on a warmed pan, and cover to steam.) Prepare the garnishes. 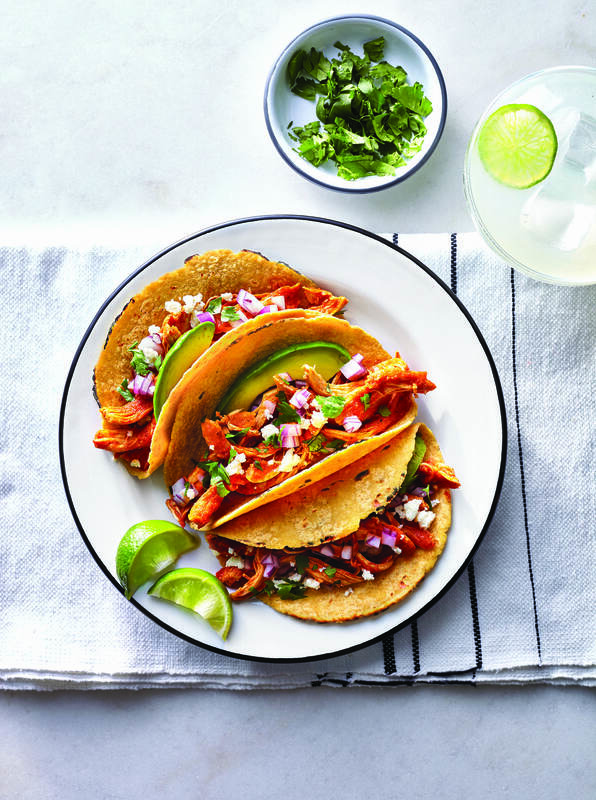 To assemble, top the tortillas with the chicken and garnish with the avocado slices, cilantro, red onion, and cotija. Serve with a lime wedge for squeezing. 2. In a small bowl or ramekin, stir together the salt, pepper, and oil. Set aside. 3. Heat a Dutch oven over medium. Meanwhile, pat the chicken dry. Once the pot is warm, add in about one-third of the oil mixture. Immediately place the chicken in the pot, breast and drumstick side up. Paint the chicken with the remainder of the oil mixture. Cover and place in the oven to cook for 1 hour. At the hour mark, check the temperature between the leg and the breast meat. The chicken is ready when the thermometer reads 165dF and the juices run clear. Cook for 5 to 10 minutes more if needed. Once ready, remove from the oven and uncover to rest for at least 10 minutes before carving into the bird, or until cool enough to handle. 4. Pull the meat from the entire bird. Pour a couple spoonfuls of the leftover liquid over the meat to keep from drying out. Store covered in the fridge for up to 4 days for use in another recipe or in the freezer for up to a month.